George Nicholls was undoubtedly one of the greatest forwards ever to play for the Saints. He stood out as a creative and powerful back row forward in the 1972 World Cup competition in France and was part of that team that brought the World Cup back to British shores. 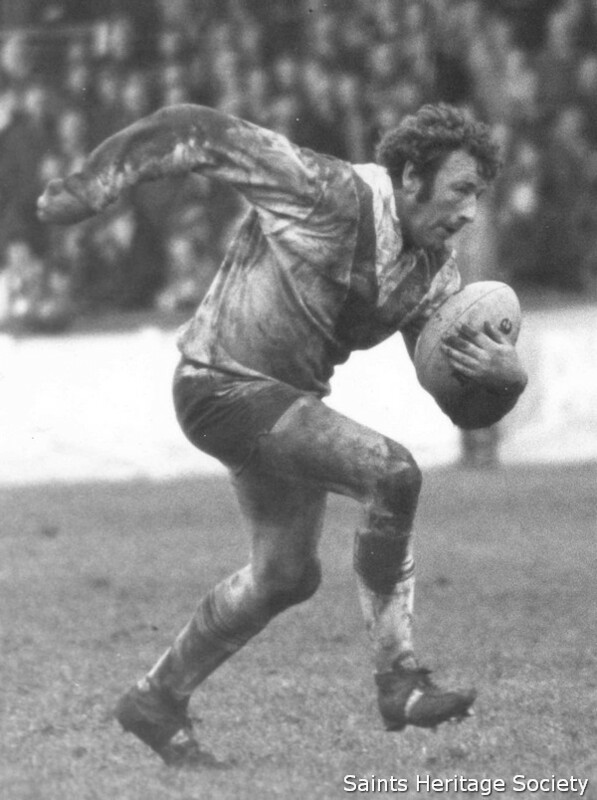 Saints officials moved quickly and snapped up George from Widnes in the new year of 1973. At Knowsley Road he was an ideal foil for fellow tough nuts like John Mantle, Eric Chisnall, Kel Coslett, Tony Karalius and Mel James. On the international front George became the mainstay of the British pack through the 1970s just as the Australians were taking a stranglehold on the world game. Dynamic running power, supreme handling skills and a crunching tackle enabled George Nicholls to maintain a position as one of Britain`s most dominant forwards in Test Match football during the 1970`s. 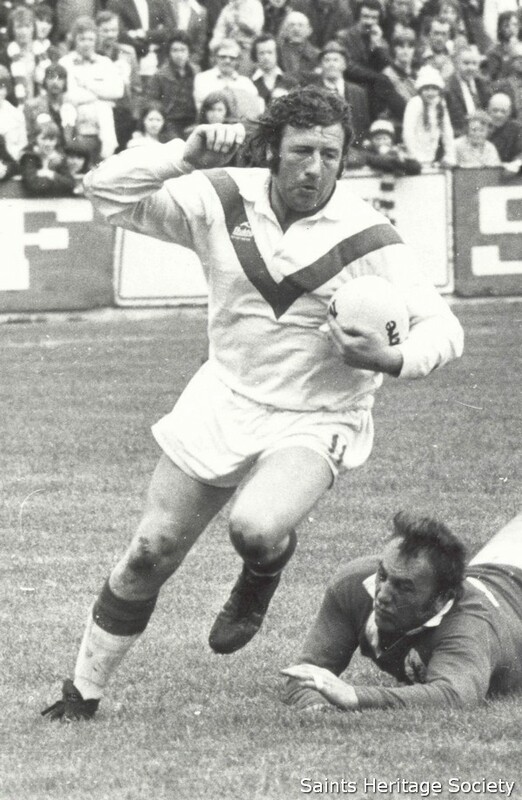 George, who helped the Saints to a Challenge Cup win (1976), two Premiership titles (1976 and 1977) and a Division 1 Championship (1975), shares with Geoff Pimblett the unique distinction of winning both the Harry Sunderland and Lance Todd Trophies. A tower of strength during the 1974 Lions Tour and two World Championship tours (1975 and 1977), George was temporarily discarded by the selectors for the 1978 series against the Kangaroos. 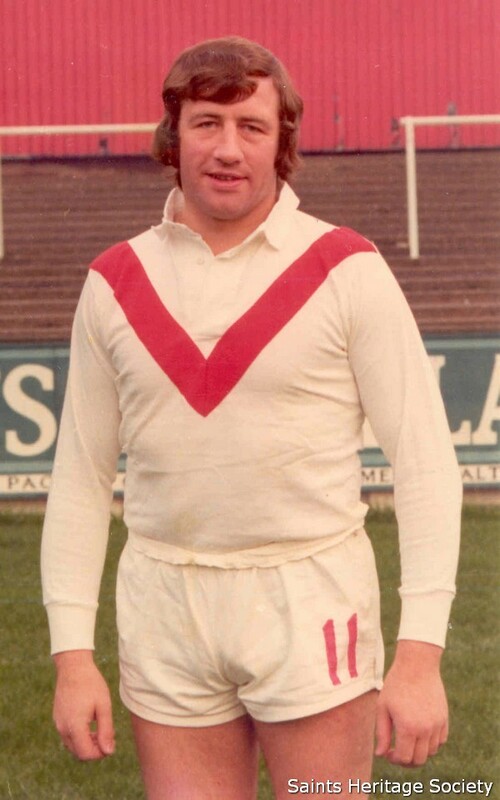 Yet he was recalled for the 1979 trip `Down Under`, where he turned out as a prop in 5 out of the 6 tests and captained the side in the absence of the injured Doug Laughton. A tremendous servant to the British cause, George made the last of his 29 appearances for his Country in the Third Test against New Zealand at Auckland on 11th August 1979.